UAE-based telecom provider Etisalat, Singtel, SoftBank and Telefónica have signed an agreement to create the first Global Telco Security Alliance to offer enterprises a comprehensive portfolio of cyber security services. The alliance will be one of the world’s biggest cyber security providers, with more than 1.2 billion customers in over 60 countries across Asia Pacific, Europe, the Middle East and the Americas. Through their combined resources and capabilities, the group can protect enterprises against the rising cyber security risks as the information security environment becomes increasingly complex. Through the alliance, members can achieve operational synergies and economies of scale that will eventually help lower costs for their customers. The group’s members operate 22 world-class Security Operation Centres (SOCs) and employ more than 6,000 cyber security experts. To expand their global footprint, the alliance is open to bringing in new members over time. Under the agreement, the group will share network intelligence on cyber threats and leverage their joint global reach, assets and cyber security capabilities to serve customers worldwide. Leveraging each member’s respective geographic footprint and expertise, the alliance is able to support each other’s customers anywhere and anytime, allowing them to respond rapidly to any cyber security threats. To enhance their cyber security portfolio, the members will also look into the possibility of developing new technologies such as predictive analytics using machine learning and advanced cyber security for the Internet of Things. The alliance will also consider developing a joint roadmap for the evolution of their security portfolios and explore joint investments in security products and services, SOCs, platforms, start-ups and R&D. “We need swift and coordinated global responses to defend enterprises that operate across transnational borders as cyber threats are increasing in frequency, scale and sophistication,” said Art Wong, chief executive officer of Global Cyber Security at Singtel. Andrew Schwabecher, head of the Cloud & Cyber Security Division at SoftBank Corp, said, "Hackers have well-established and organized communities where they cooperate to produce cyber threats—it's time that the world's largest network of operators formed a global alliance to strengthen our defence against these attacks. SoftBank is excited to join the initial alliance partners including Singtel, Telefonica and Etisalat, to offer enhanced security to our customers and advance our cyber defence." Singtel is Asia's leading communications technology group, providing a portfolio of services from next-generation communication, technology services to infotainment to both consumers and businesses. 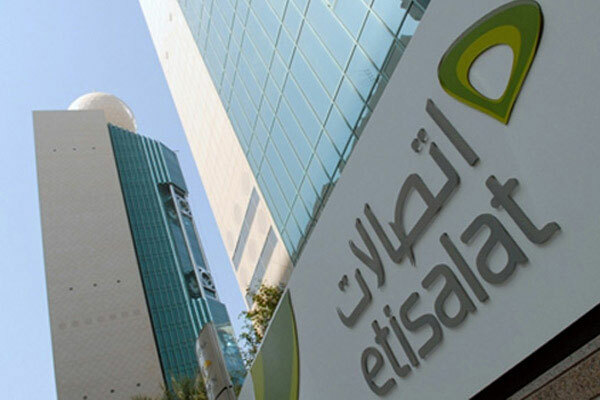 Etisalat Group is one of the world’s leading telecom groups in emerging markets. Etisalat’s current market cap is Dh152 billion ($41 billion). SoftBank Corp, a subsidiary of SoftBank Group Corp, provides mobile communication, fixed-line communication, and Internet connection services to consumers and corporate customers in Japan.